Play is a great way for kids to LEARN. Given how busy life is, it can be hard to set aside time to just PLAY! 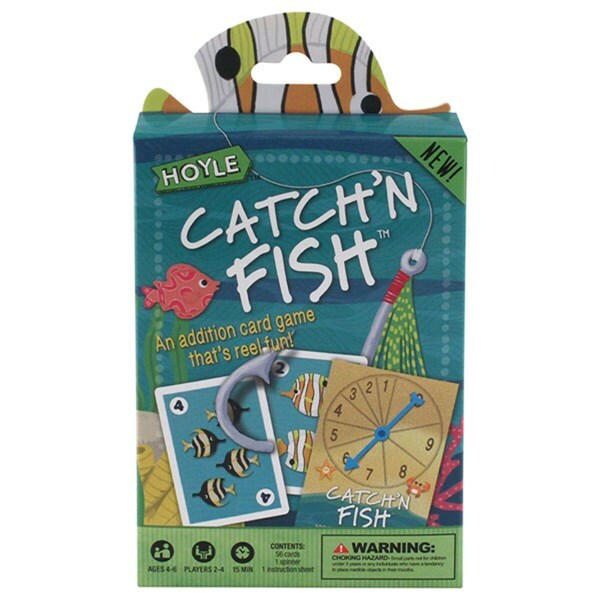 HOYLE® card games are designed for maximum fun while also helping kids develop specific cognitive skills, just by playing. It’s fun first but there’s always room for a lesson. CATCH’N FISH™ card game teaches number sentences and numeral values. Players spin the spinner on each turn to determine a sum they need to make. If a player can make that number with the cards in their hand, they land a “catch,” and the player with the most catches wins! Simple to set up, easy to learn and can be played in 15 minutes or less. For 2-4 players, ages 4 and up.